All eight GTHL entries are in action at least once on Wednesday at the 2017 OHL Cup powered by Under Armour. The red-hot Rebels rode their playoff dominance into the 2017 OHL Cup powered by Under Armour, defeating the Nats 2-1 for their second win of the tournament. The Rebels threw 38 shots on net, earning Nats goaltender Zachary Roy the game MVP honours. The Rebels don’t play again until Friday morning when they’ll face Elite Hockey Group. After a thrilling wild card win, the Mississauga Senators failed to capitalize in their first round-robin matchup, falling 4-2 to ALLIANCE champs the London Jr. Knights. The Knights depth was on full display with four goal scorers making an appearance on the game sheet. A strong performance by Kings goaltender Christian Sbaraglia, combined with quality offensive contributions, led the Vaughan Kings to their first victory of the tournament. The Titans will look to redeem themselves when they face off against the Waterloo Wolves tomorrow afternoon. 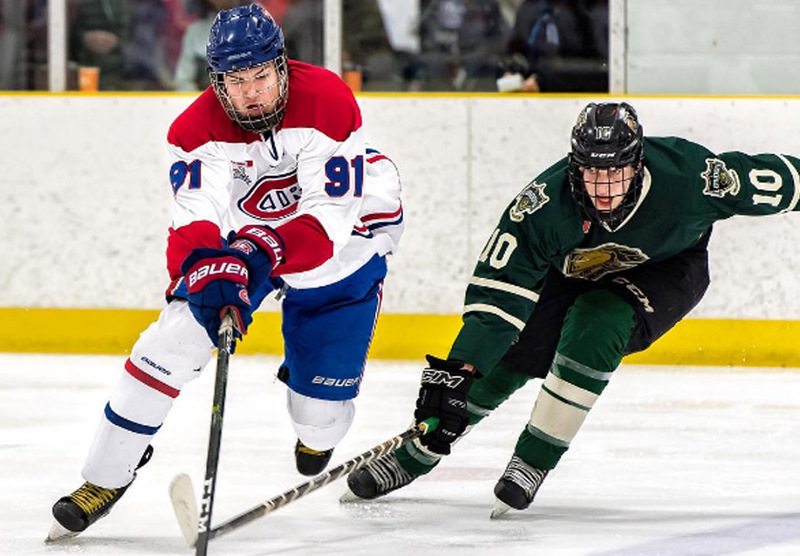 While the Mississauga Reps may have the label of a wild card following them around the tournament, teams shouldn’t underestimate the squad who finished second in the GTHL regular season standings. The Marlboros opened scoring early on, but it would be the Reps who would dominate throughout the remainder of the game. The Marlboros will play the Eastern Ontario Wild on Thursday morning. Cody Morgan helped lead the Jr. Canadiens to their first victory of the tournament with a 2-1 win over TPH Hockey. Morgan netted both goals for the Jr. Canadiens, while Brendan Hoffman recorded two assists in the tilt. The Jr. Canadiens will face the Mississauga Senators on Wednesday. The Toronto Young Nationals hung on to win their first of the round-robin, defeating Elite Hockey Group 4-3. Four different Nats players tallied the goals, while Ethan Keppen notched an assist on three of them. The Nats will play the Cambridge Hawks Thursday at 9:00 a.m. Overtime resolved little in the Kings second tie of the tournament. After going down 2-0 in the first, the Kings came back to take a 3-2 lead heading into the second. Their campaign ultimately fell short, leaving the Kings with a 1-0-2 tournament record to date. They will play the Waterloo Wolves on Friday. After going down 2-0 in the first, the Reps came back to score three unanswered goals and win their second game of the round. Jamieson Rees found the back of the net twice, while Mike Petizian assisted on all three goals. Solid goaltending from both ends prevented the Senators second game of the day from reaching a conclusion. The Sens will play the Toronto Jr. Canadiens on Wednesday.